Lostpedia has narrowly made it into the TV.com Top 100 Everything of 2008 List. As you might be aware, sites like Entertainment Weekly often put out lists like "Top 100 web sites" or "Top 100 TV shows", so TV.com decided to make a fun list reflecting on the entire year. The list includes everything and anything: websites, shows, movies, news, even select lines from shows and film. 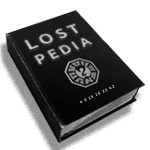 The go-to source for all your Lost needs, Lostpedia helps us make sense of what we just watched and catches us up on the little details we missed. If it happens in the Lost universe, it's there. Get extensive background information on Vincent the dog, but beware of spoilers!